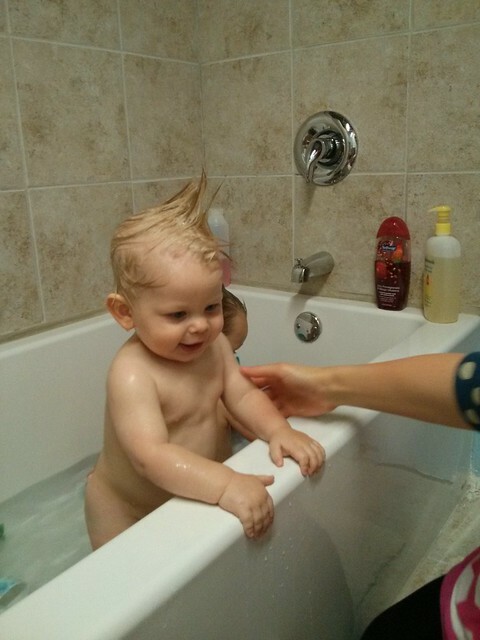 Looking back at Luke's bath time post today, I remembered how unusual Luke's hair looked when he was a baby. He has a very, very strong cowlick. I am not kidding. 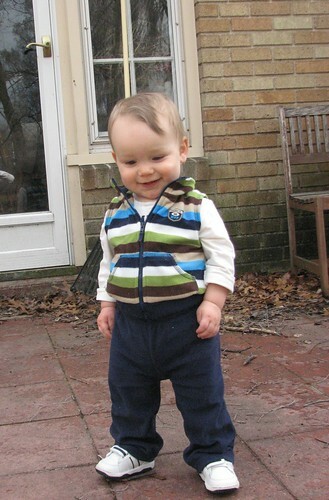 I am not usually one to brag, but my kid's cowlick could beat up your kid's cowlick any day. Seriously. You do not want to mess with this thing. I've long since given up trying to comb Luke's stubborn locks into submission. 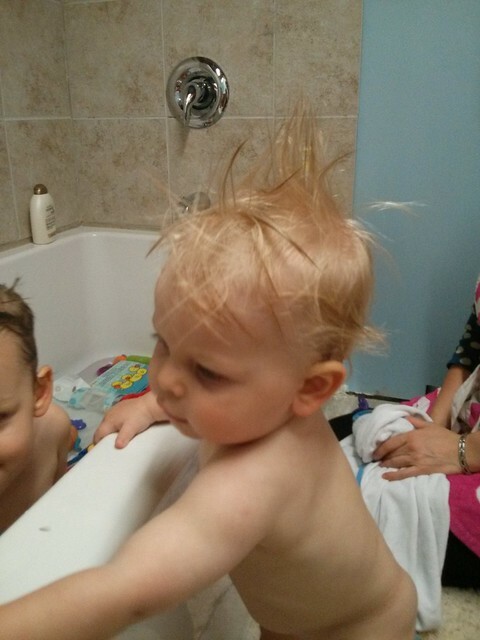 Judah's hair is much friendlier, although it grows at the speed of light. Seriously, didn't I just trim it? Oh my.